ClearSky’s PD-Monitor can be used to confirm the diagnosis of Parkinson’s in very early stages based on the presence of bradykinesia in the dominant affected side, according to a groundbreaking study in China. The study – the first of its kind on a Chinese population – also found that PD-Monitor can be helpful in assessing the severity of bradykinesia: from slight, to moderate, to severe. Bradykinesia is the medical term for slowness of movement and is one of the main symptoms of Parkinson’s, alongside tremor and rigidity (stiffness). It is often hard to identify in the early stages where clinical signs are subtle and can often be confused with essential tremor, a common movement disorder, among other neurodegenerative conditions. 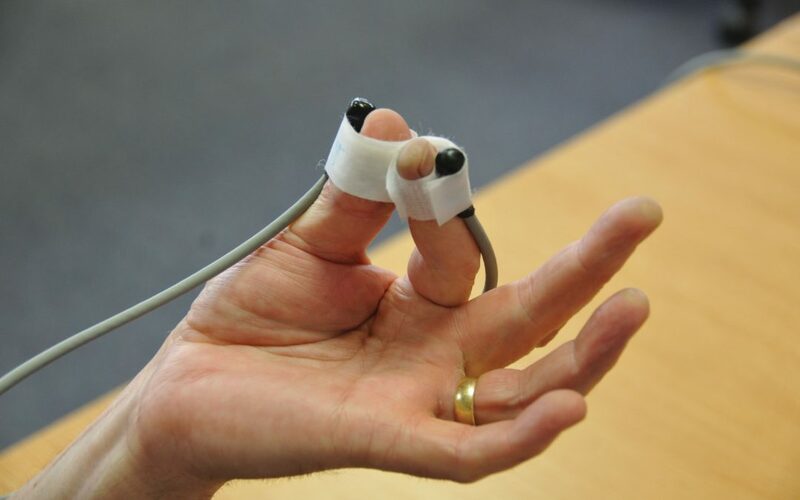 The PD-Monitor uses non-invasive electromagnetic tracking sensors, positioned on the index finger and thumb, to measure a patient’s movements in a finger-tapping test. These movements are then analysed using evolutionary algorithms to measure subtle hesitations. In the world’s largest single centre clinical validation study for diagnosing Parkinson’s, experts at Ruijin Hospital in Shanghai evaluated the accuracy of the PD-Monitor with 107 Parkinson’s patients, 41 early tremor patients, and 49 age and 82 gender matched healthy controls. In order to rule out data bias, due to dominant hand difference, all selected participants were right-hand dominant. Led by Dr. Gao and Professor Chen Shengdi at the Department of Neurology and Institute of Neurology at Ruijin Hospital, the study found that PD-Monitor could “not only be used to accurately measure different severity of bradykinesia in people with Parkinson’s but also had the potential to differentiate early stage Parkinson’s from normality” with “high accuracy, sensitivity and specificity”. Dr. Gao et al.’s paper on PD-Monitor was first presented at the XXIII World Congress on Parkinson’s Disease and Related Disorders taking place on 19 to 22 August 2018 in Lyon, France and has been published online in the Translational Neurodegeneration Journal. You can also download the research paper from our Clinical Studies webpage.